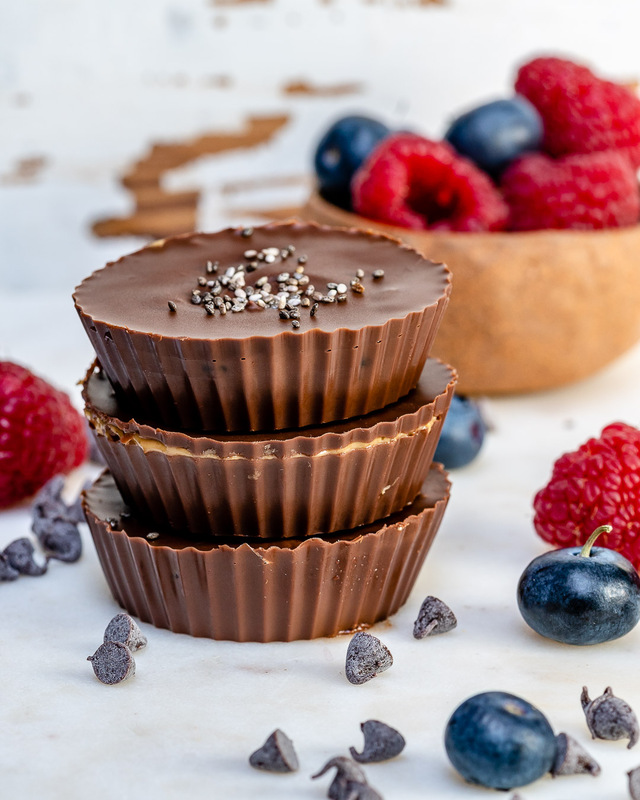 These Chocolate + PB & Chia Jelly Cups Make a DIVINE Clean Eating Treat! 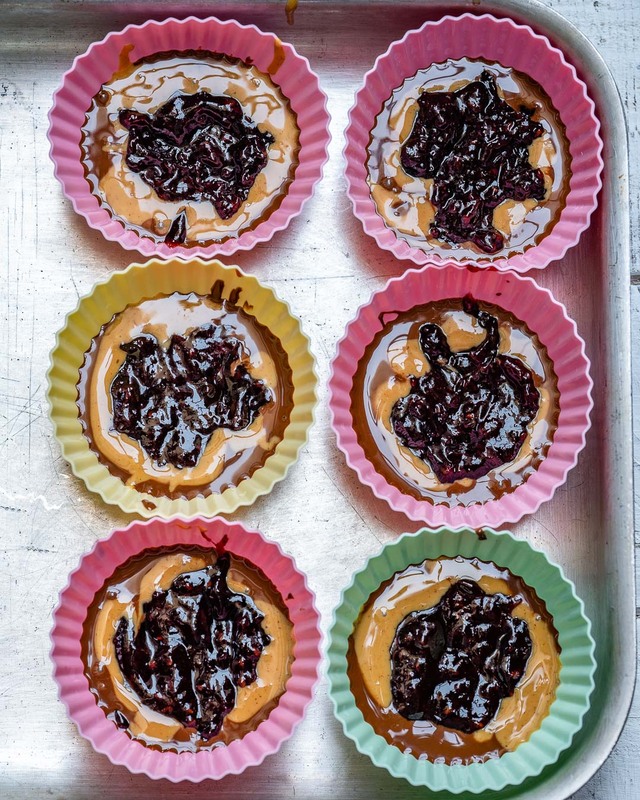 Are you making Valentine’s treats for your sweeties this weekend? Well…I think THESE are just the thing! 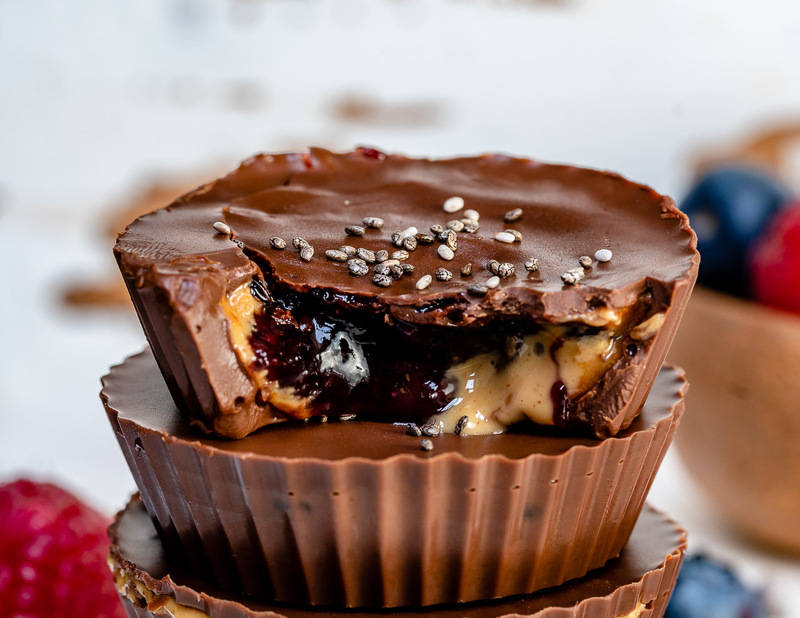 Dark chocolate with homemade berry jam and a smidgen of PB. All natural, pretty simple to make and COMPLETELY DIVINE! 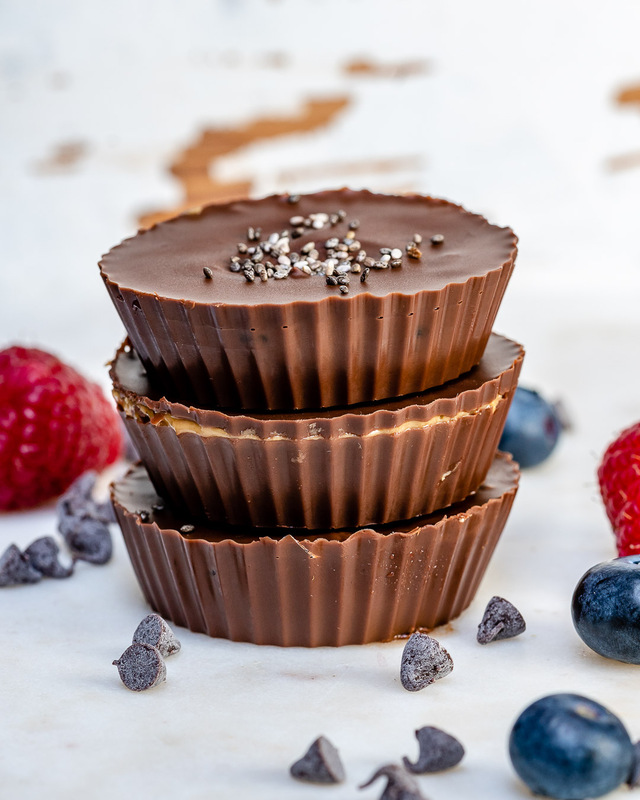 The jelly is made using REAL, fresh berries, then sweetened with raw honey, and thickened using chia seeds! 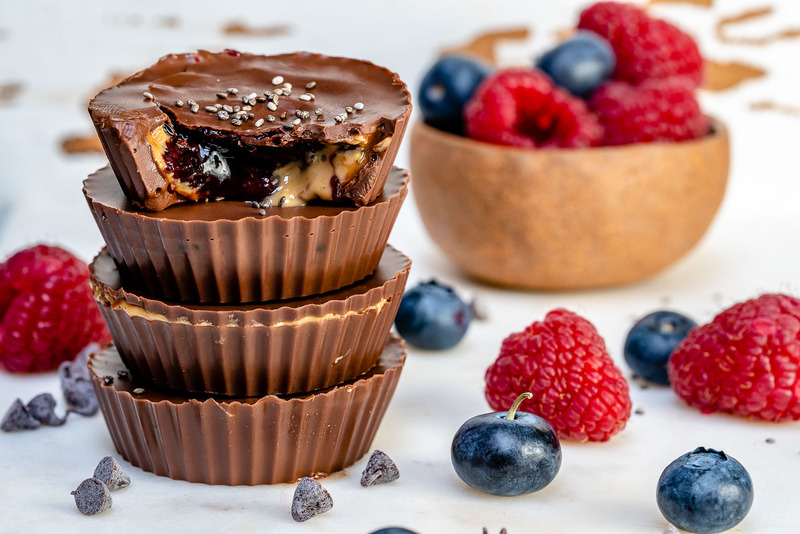 If you’re not a peanut butter lover, you COULD double the jelly recipe and make these all chocolate + just jelly inside. 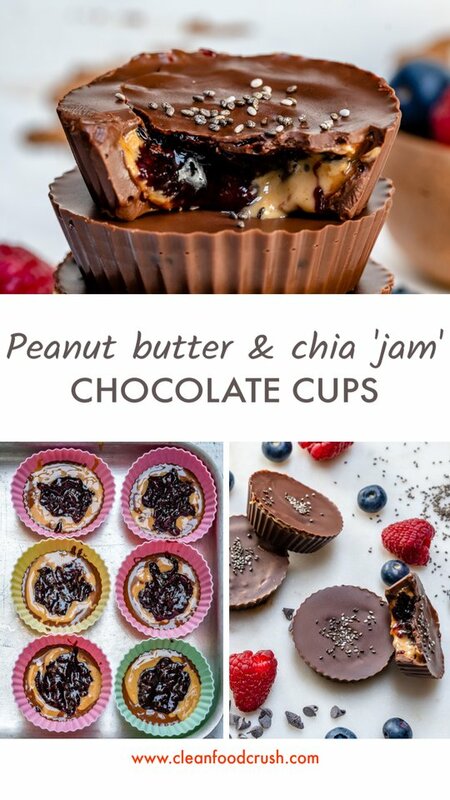 I think they would be awesome with cashew butter, or almond butter as well! Place all chia jelly ingredients into a blender or food processor and pulse to just combine. Pour into a small jar and refrigerate for at least 2 hours to thicken up a bit. Meanwhile melt chocolate and coconut oil together in a microwave, stirring every 30 seconds until completely melted. Alternately, you may use a small double broiler in the stovetop to melt the chocolate. 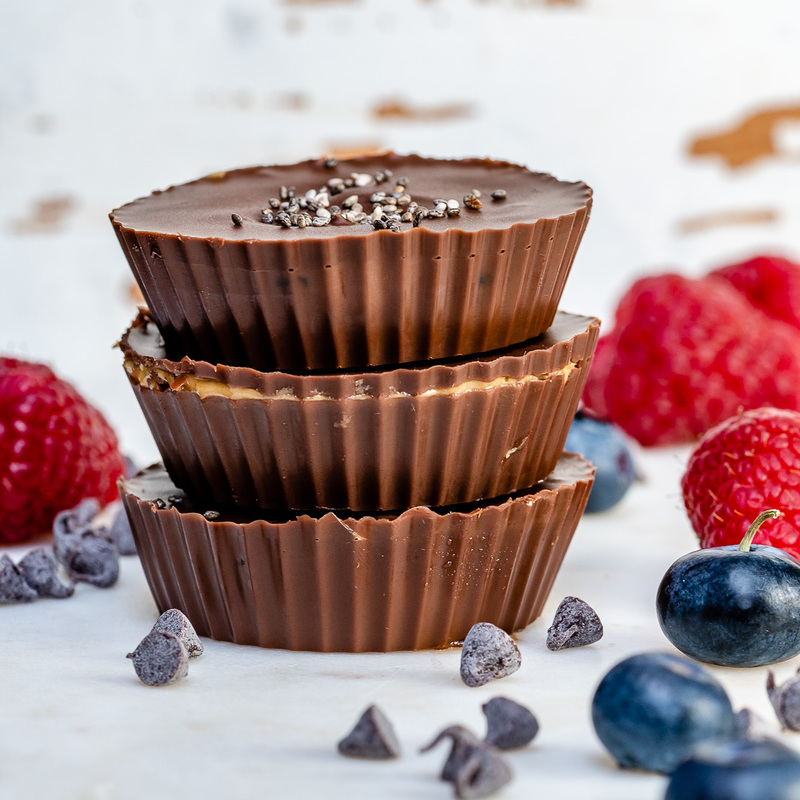 To assemble the chocolate cups line 6 silicone cups in a small sheet pan a muffin tin. 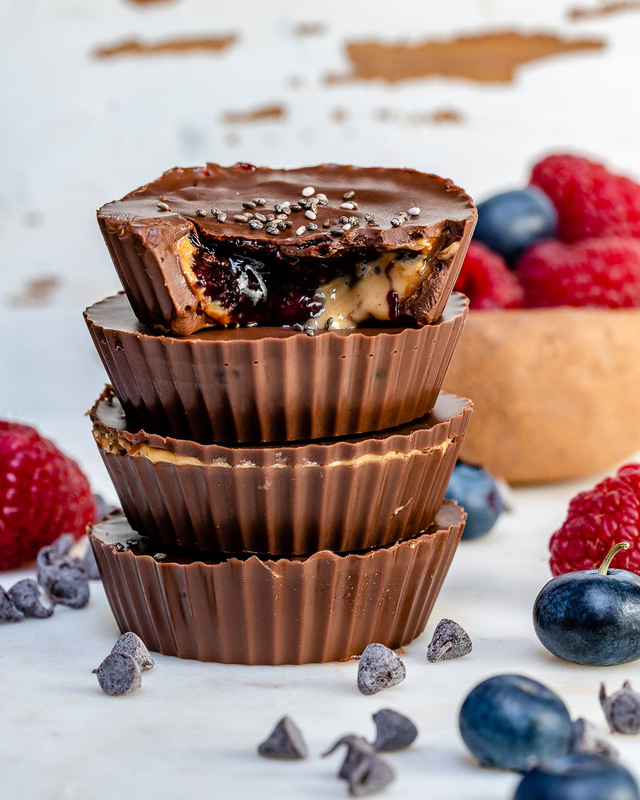 Spoon about half a Tablespoon of melted chocolate into each muffin cup, gently stirring to coat un about 1/2 of the sides too. Place the pan into the freezer for 10 minutes to harden the chocolate a bit. Then, add a teaspoon of chia jam, and a teaspoon of peanut butter. Repeat for each cup. Spoon the remaining chocolate over each and gently spread until you get a nice even top. 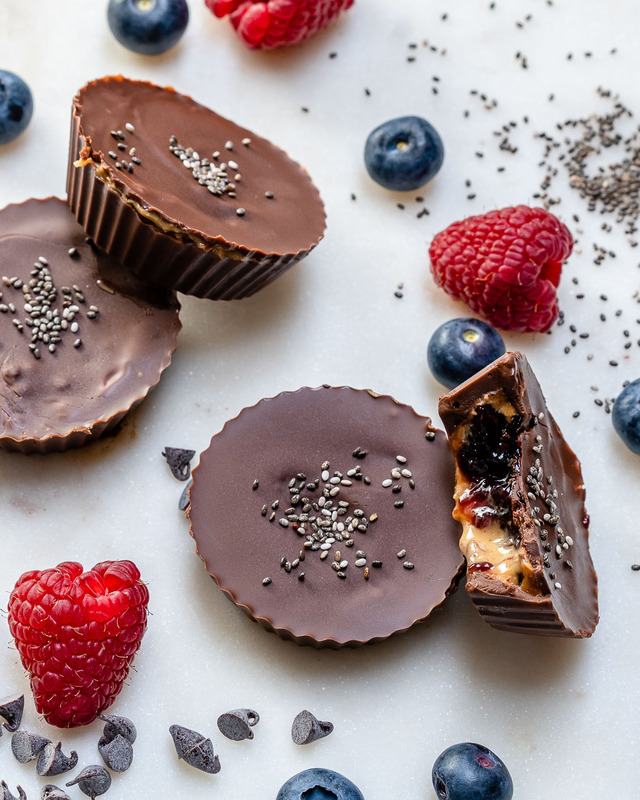 Sprinkle with a pinch of chia seeds. Place the pan into the freezer again, for at least 30 minutes or so. Before serving, remove from the freezer and allow to thaw for about 4 minutes before eating.